Phytomedicines have been playing an important role since the beginning of civilization, curing many diseases and alleviating different symptoms for the wellbeing of humans and animals. The millenary history of medicinal plant use and its derivatives give credibility to the development of new and advanced pharmaceutical forms of phytomedicines, which may play an important role in social medicine for developing countries. A renewed interest for herbal medicines and phytomedicine has been observed in recent years. However, adulteration and misidentification of crude drugs still exist. Thus, the development of standardization and quality control of herbal medicines needs to be prioritized at the earliest stage. Furthermore, the increasing demand for natural food antioxidants has fostered worldwide research for extracting biologically active substances from a variety of raw vegetal materials. 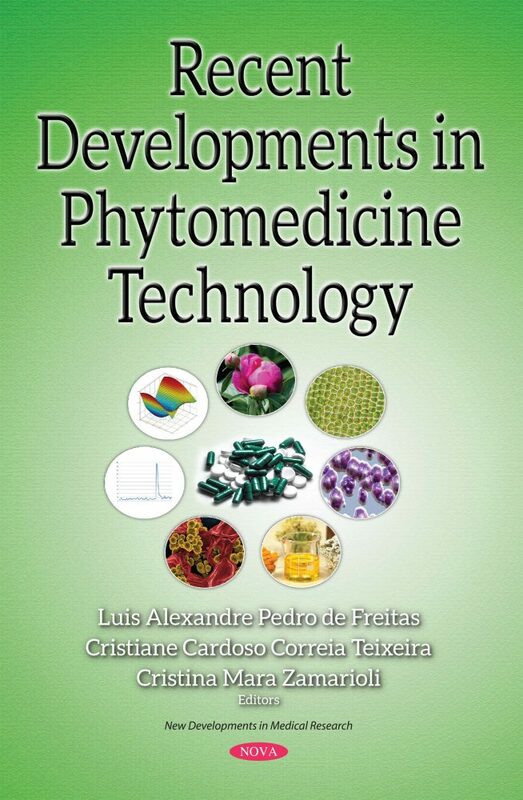 However, the modern use of plant-derived medicines must be based on reliable and reproductive processes as well as manufacturing techniques to preserve chemical composition and therapeutic effectiveness of the plant extract. This can be achieved only through the knowledge and scientific approach to all steps involved in phytomedicine production, such as the pharmacognostic evaluation, extraction process, drying of the extracts and pharmacotechnical preparation of the final pharmaceutical form.